For more historical info about Luskwood, take a look at our entry in the SL History Wiki or either of our entries at WikiFur. It all started with Lusk. 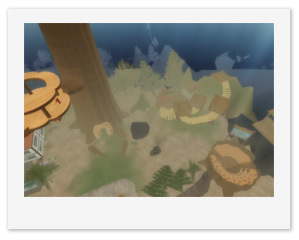 Lusk (a server in Second Life®) originally ended up being split between Second Life® residents Jazzy, Luskwood, Sinclair Valen and the Lusk Estates. However it is now mostly owned by Luskwood and Lusk Estates. Recently residents Chage McCoy and eltee Statosky have resurrected Lusk Estates from its disintegrating self. With a renewed charter, new roads, and a new group in control, the Lusk Estates have become a nice little neighborhood once again. Yeah, but what about Luskwood?